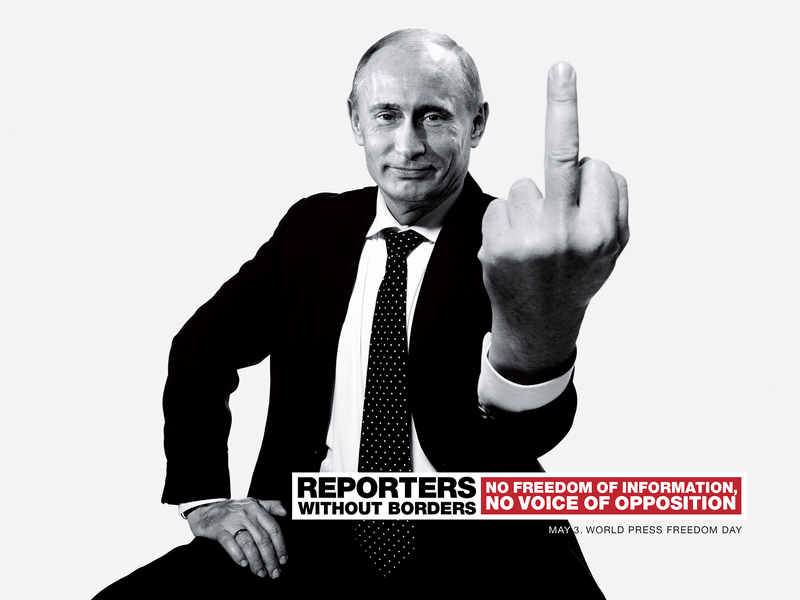 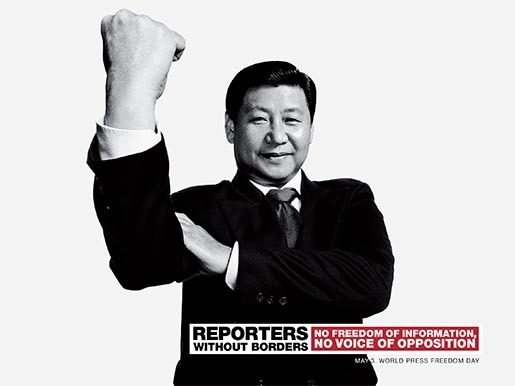 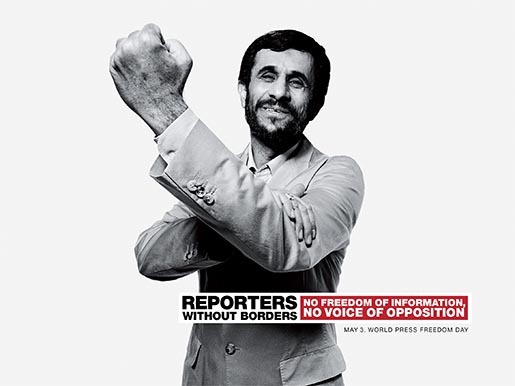 Reporters Without Borders (Reporters sans Frontières) released “Liberté de l’information” a print campaign timed to coincide with World Press Freedom Day on May 3. 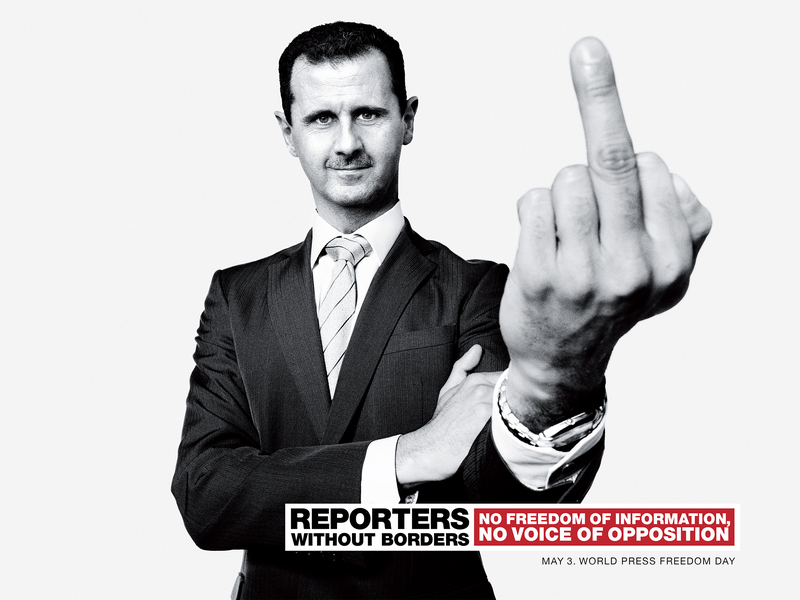 The campaign features five world leaders, each known for impeding the work of journalists, standing in confronting poses. Included are Kim Jong-un, Supreme Leader of North Korea, Mahmoud Ahmadinejad, President of the Islamic Republic of Iran, Xi Jin Ping, President of the People’s Republic of China, Bashar Al-Assad, President of Syria, and Vladimir Putin, President of Russia. 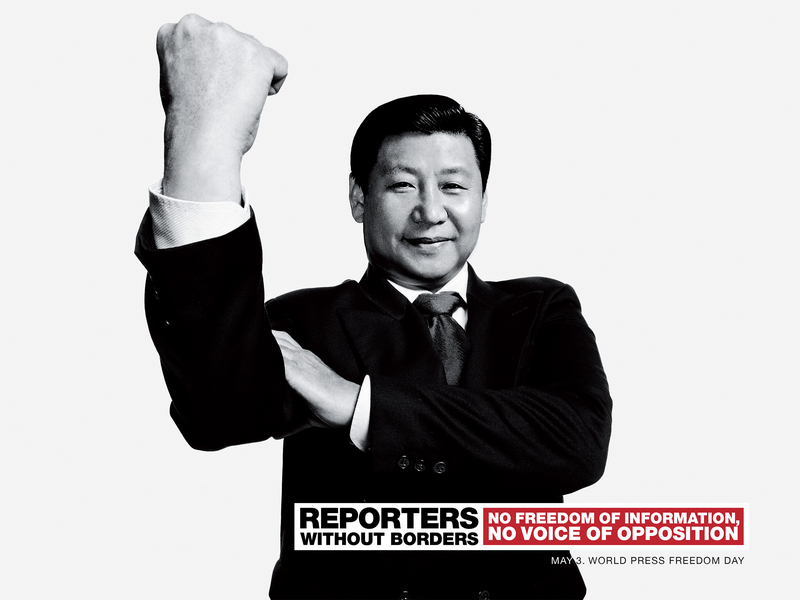 Reporters Without Borders wants to remind people of how freedom of information is a prerequisite for everyone to be able to exercise their role as a citizen. 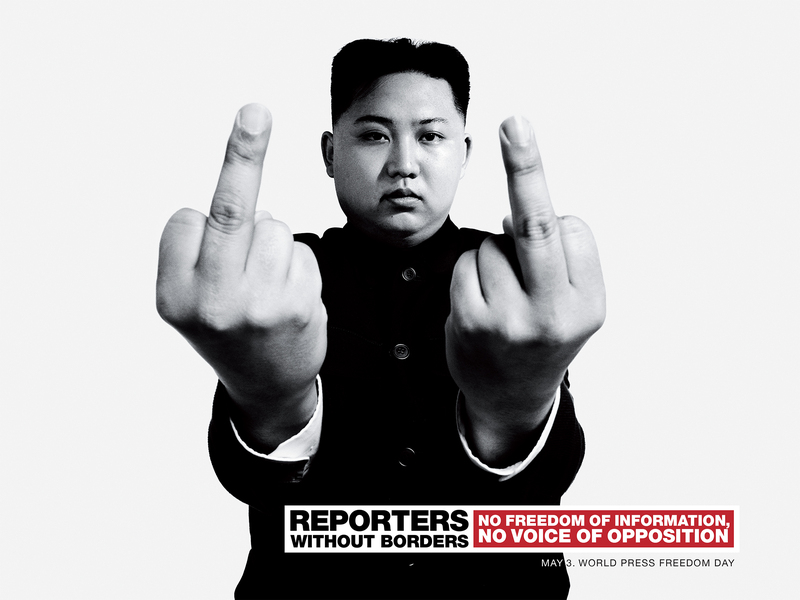 This campaign was developed at BETC Paris.